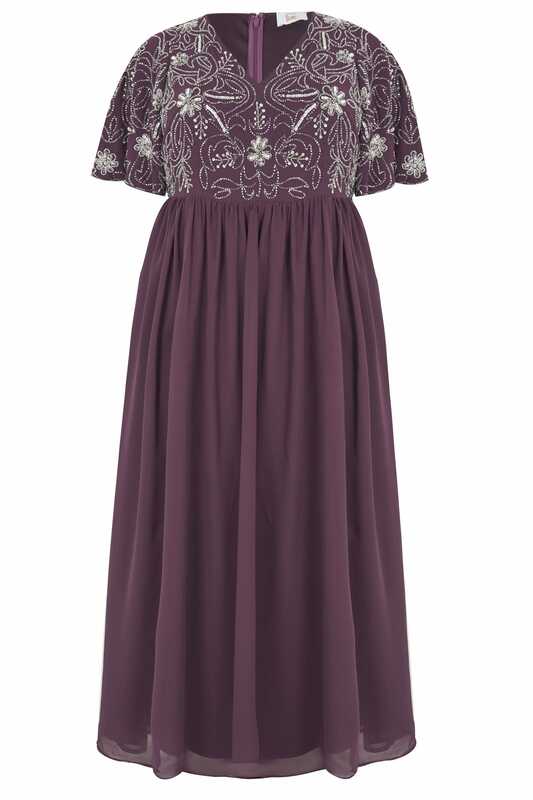 Front length from (approx): 158cm/62"
Back length from (approx): 152cm/60"
Draping effortlessly to a floor length, this glamorous maxi dress exudes timeless charm. Woven from a floaty chiffon fabric, it is accented with intricate sequin and bead embellishments and showcases fashion forward angel sleeves. 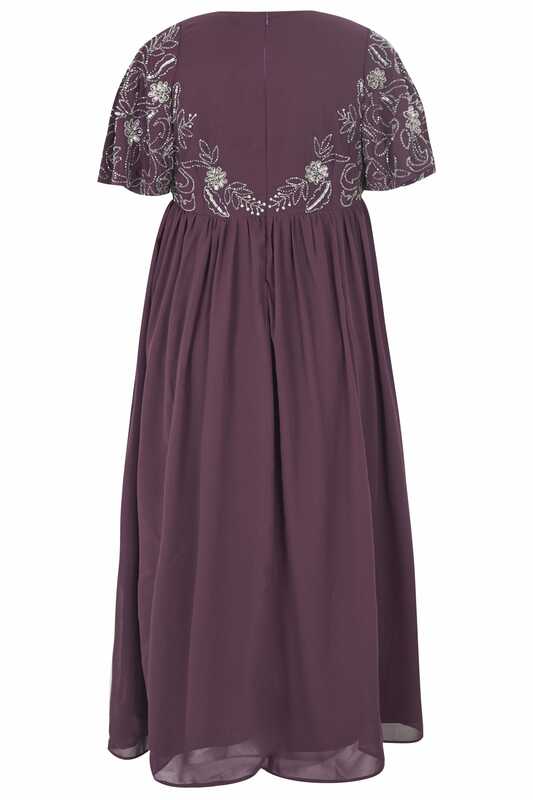 Serving as the perfect evening dress, partner with a pair of elegant heels and an understated clutch bag. 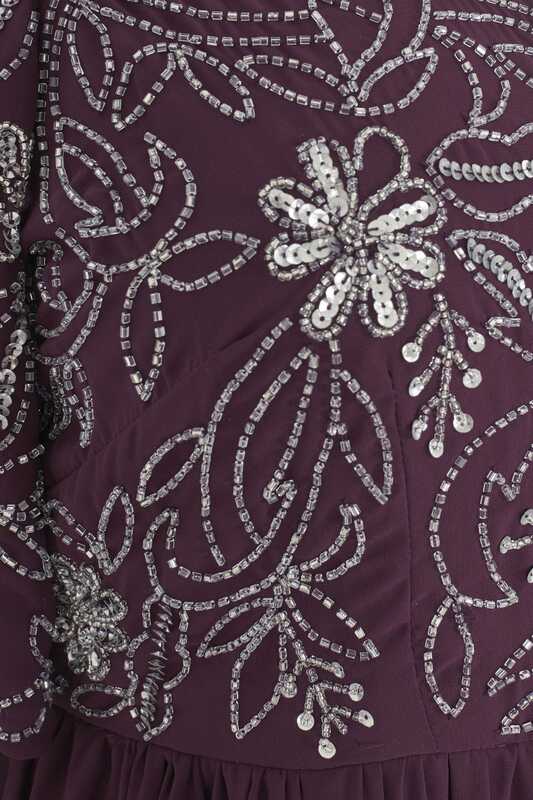 In a deep purple hue with sparkling embellishment, this dress serves as an occasion wear must-have.